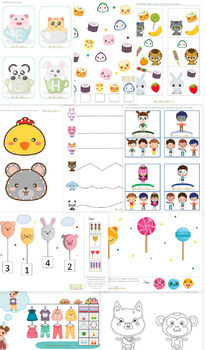 Kawaii Cute Toddler, Pre-K and Pre-school activities. Toddler, Pre-K and Pre-school activities. Subscribe to my Instagram and or Blog EarlyLearningEasy.com for free printables and new stuff.